Georginio Wijnaldum has revealed how he played through illness - and potential embarrassment - to star in Liverpool's important win over Bournemouth on Saturday. 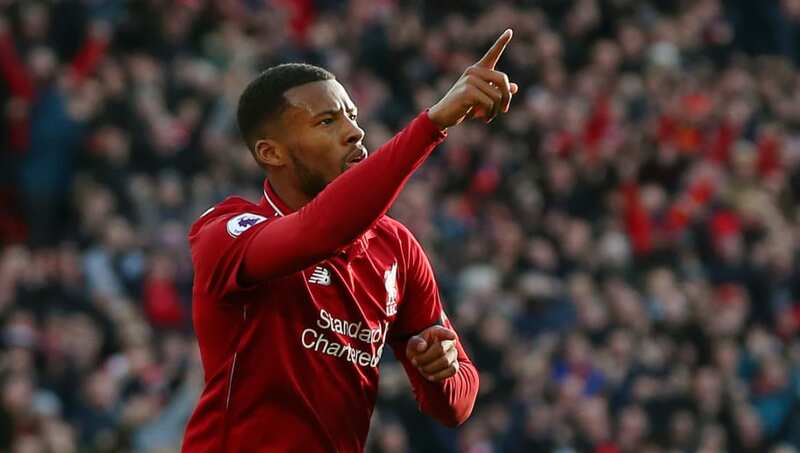 Wijnaldum had missed Liverpool's previous league match against West Ham because of a knee problem, and needed medication to ensure that he would be fit to face the Cherries, but a late illness threw his participation into doubt. The Dutchman told Jurgen Klopp that he was well enough to play and then produced an excellent performance, including a classy finish for his second goal of the season as ​Liverpool cruised to a 3-0 victory. "Thursday night I had a tablet from the doctor for my knee," said ​Wijnaldum, quoted by the ​Liverpool Echo. "It was a tablet that could induce stomach pains. "I took it and I had a pain and thought it was from the tablet. In the end I was vomiting and everyone was a little bit scared. "I didn't train on Friday and I didn't sleep at the hotel either because they thought I might infect other players. "The manager called me and said 'do you think you can play?'. I said I was as positive as I can. In the morning I was still weak and had diarrhoea I must say the tablets helped a lot. "But even at half-time I had to run off to get to the toilet. I was like, 'Oh no!'. I ran inside and I managed to control it!" The win temporarily saw Liverpool return to the top of the Premier League, although ​Manchester City's 6-0 thrashing of ​Chelsea on Sunday restored their lead on goal difference. The Reds have a game in hand, but their next league outing is a daunting trip to face in-form ​Manchester United at Old Trafford.